You can personalize almost everything, so pick your favorite based on layout & graphics. Need some help choosing materials? Contact us! 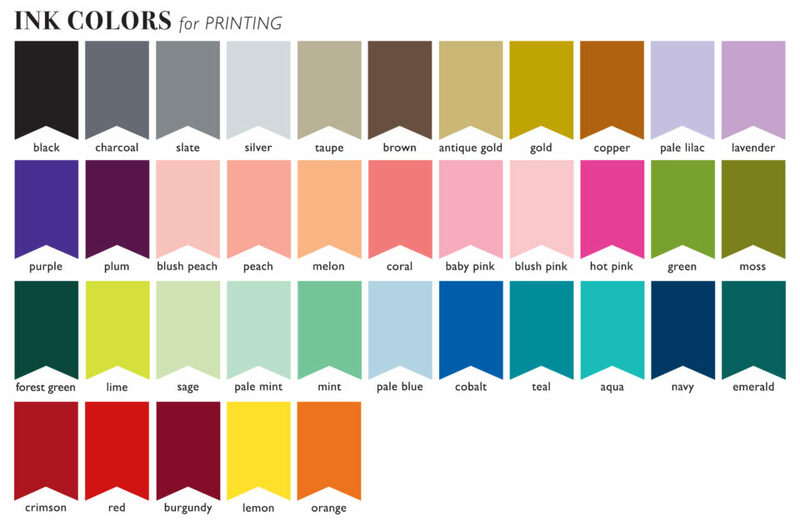 Tell us about your wedding colors & favorite materials or order a sample to view in person. Samples are pre-made & come exactly how you see online. 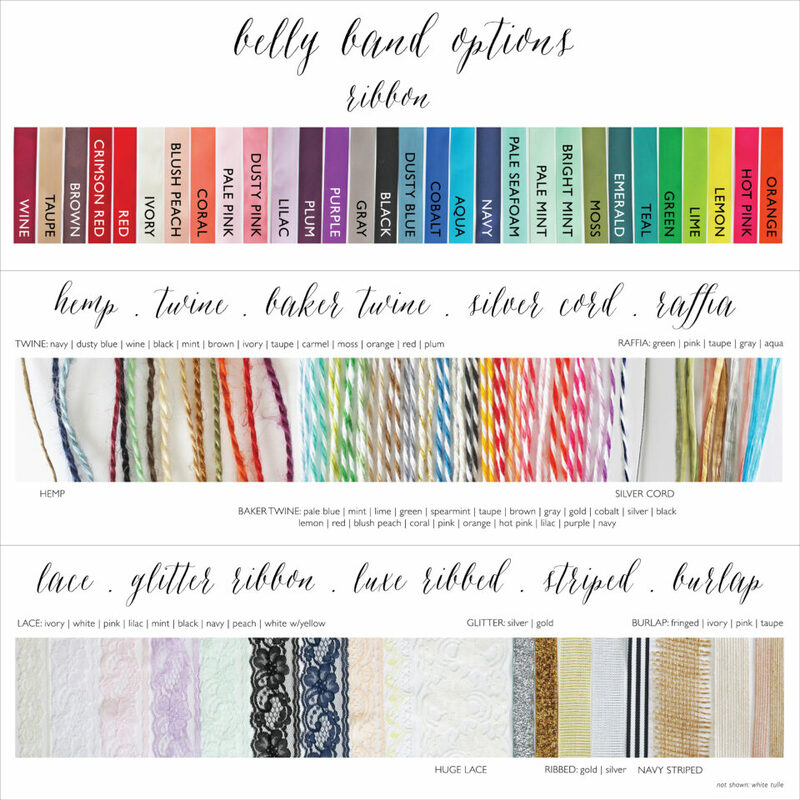 We’re happy to include additional swatches with each sample purchase. 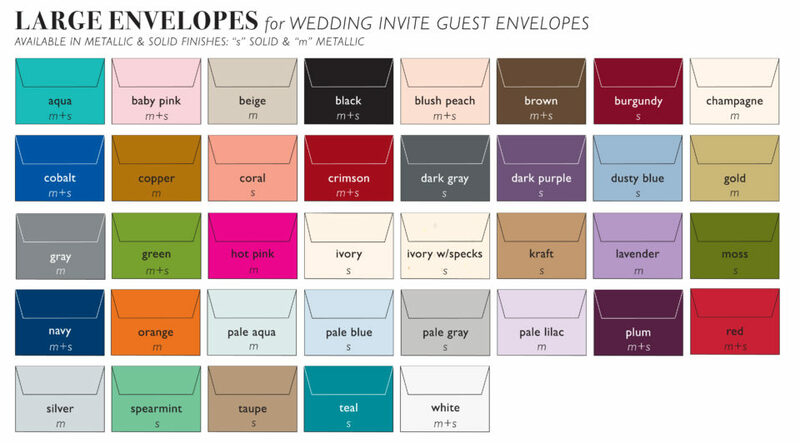 Please note your wedding colors or special request in the order details. Orders can be placed within the product page. Click on the place & customize your order button to get started. Create an account to edit, save & calculate pricing. At the time of checkout, 50% of your total is due for wedding invites & 100% is due for everything else. Once the order is placed, we will confirm your details & then a designer will be in touch to start your email proof process. Three rounds of proofs are included during the email proof process. 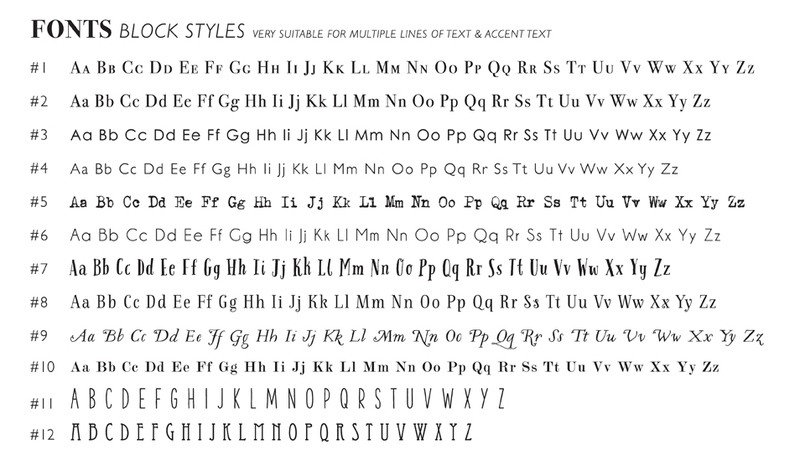 All wording, ink color & font style customizations will be worked out during this time. Happy with your proof? Let’s print! Your remaining balance is due before we start production & ship. Once your remaining balance & shipping amount has been paid, allow up to 7 business days for production. A UPS tracking number will be sent once your order ships. We’re proclaimed perfectionists! We really do care about the quality of our products, our client experience and each and every wedding guest who receives our invites. Don’t believe us? Just read some of our previous client testimonials. We’re service orientated! Your experience matters to us. We will help you every step of the way, from start (choosing a design/assisting with wording) to finish (email proof process/printing/assembly). Assembly is included in our pricing! You’re busy, we understand that. That’s why all of our products come complete like you see in our photographs. Additional services like guest envelope addressing, stamping, stuffing & mailing directly to your guests are available too. Each invite is treated like a work of art, thoughtfully designed, carefully reviewed, professionally printed and handmade in our studio outside of Chicago, IL. 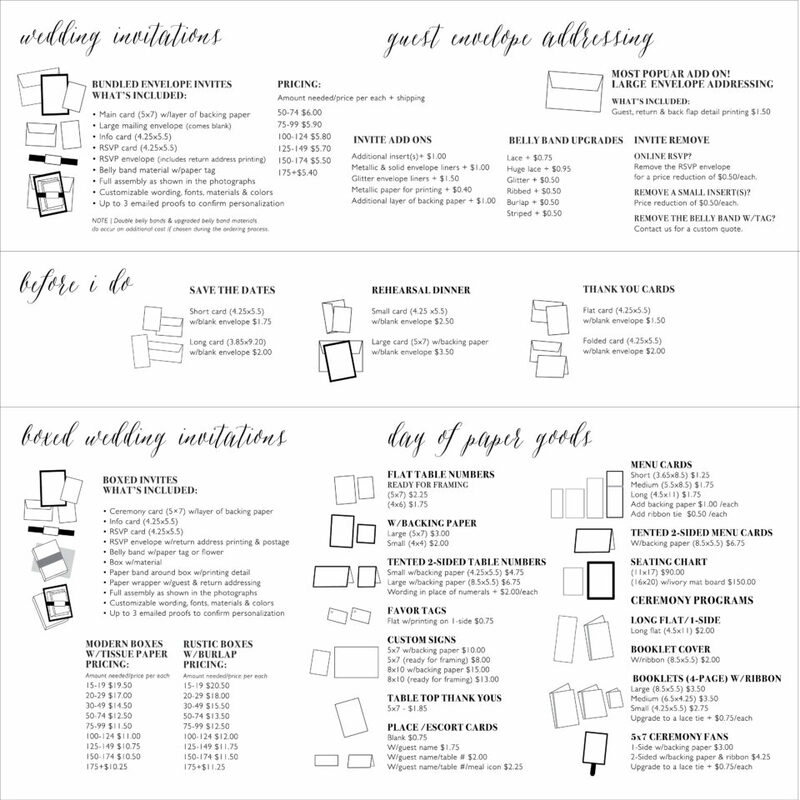 You can customize almost everything…wording, inks, envelopes, papers, fonts, envelope liners & more.